Mastery As A Content Creator…"
You can repurpose the content you write for yourself and your clients. Maximize your writing income. Want to write for the Web and make more money than other Web writers? Read on, you can create amazing content, and can get more clients, AND increase your hourly rate. Have you noticed that the Web has changed? These are big changes, and they mean that you need to change as a writer. You can still make a good living writing Web articles, but your clients want and need more. And they're prepared to pay for it. I created my first website in 1998... That's 15 long years ago. Over those 15 years, there's been one big change: everyone's a content creator now. That makes a writer's job more challenging, because the competition for attention is huge. This can be frightening, or it can be liberating -- choose to be liberated. 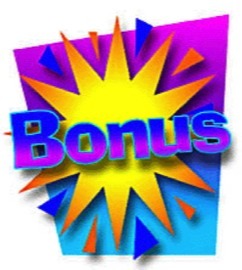 You'll make more money, especially if become a master content creator on the new Web. Although images, video and audio enhance content on the new Web, words are still the foundation. A picture may be worth a thousand words, but you nevertheless need words to provide context, relevance, and to inspire action -- that is, to make sales. If you're a newly minted Web writer, start by becoming a master at creating Web articles. This is a basic skill. I still write many articles each day, for my clients, and for myself. I can't see this changing. However, I do use more images, and for my clients, I now write many more audio-visual scripts. This pays very well. Get experience as an audio-visual writer now, and you'll be streets ahead of other writers -- you'll out-pace the competition, and you can charge more. Ready to master the new Web, and become a master content creator? 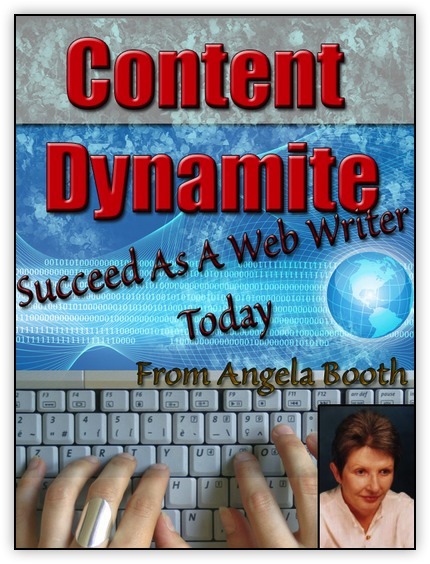 I wrote Content Dynamite: Succeed As a Web Writer Today for you because the demands on website writers are changing -- as are the demands on all writers. In 2010, I focused on the text I wrote for the Web. I might tinker with the occasional photo or other image, but Web writing was all about writing webpages and articles. 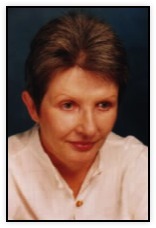 In 2013, I'm writing more scripts, and am creating more presentations. So are other Web writers. You need to grab attention. Images, and audio-visual content do that. Here's what my beta testers had to say. I asked them for a tip for you, too. "Being able to offer myself as a content specialist means that I can target more clients, and offer my clients new services. When Angela gave me Content Dynamite to try out I wasn't sure about it... Now I can see bigger billings -- many over $2,000 per client. I've never billed that much. My tip: go for it." "Content Dynamite? Excellent. Reactivated 'old' clients, sold packages of content, managed two video shoots -- easy, I hired everyone online. As Angela said, you write less, but charge more. A tip? Keep in touch with clients, and offer them more." "I'm a new full-time freelancer, low on experience, high on enthusiasm. On Angela's advice, I targeted a mix of large and small companies with content packages, learning as I grow. Offering enhanced content differentiates me from other writers... overbooked, so just raised my rates to $128 an hour. My best tip -- we're all learning, so the more you learn, the more you earn." Writing for the Web is an on-going challenge. Something's always changing. However, the fundamentals remain the same. Textual content is fundamental to the Web; you can write that. Some writers get nervous when I talk about enriched content. Where will they get images from? Please don't worry about enriching that content yourself. Here's a little secret about enriched content -- let your clients deliver it to you. They've got loads of content they're unaware of. You can use their images, customer comments and stories, plus short videos to create content for them. PDF, 52 pages of solid, practical information. You'll survive and thrive on the new Web. If you're already writing for clients, you'll be able to offer them new packages of services, charging more (and writing less) than you've ever done before. What if you're a new writer? You benefit in two ways. Not only will you be able to present yourself as a complete professional, right from the beginning, you'll also be able to target higher paying clients. 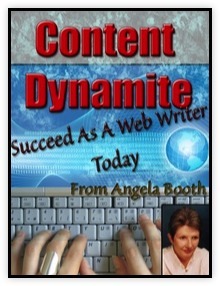 Content Dynamite is essential for your Web writing career. I love Flipboard magazines, and knew I had to create a guide to them, because they have SO much potential for Web content creators. Currently, this guide is being offered at a low cost. However, I'll shortly be relaunching it. You'll discover how you can use Flipboard magazines for yourself, AND for your clients. It's a fee source of traffic, and is growing very quickly. Although you do need a mobile device (iOS or Android), even if you don't have such a device, you'll learn a lot from this guide about content curation -- another essential skill for Web writers, going forward. PDF, 96 pages, plus videos and more. You'll find a full description of this package here. Articles are the basis of your Web writing career -- text content will never go out of style. Experienced Web writer or newbie, this material is the foundation on which you build your new Web writing skills. 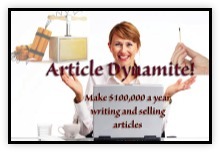 I've included the full Article Dynamite package for you, including videos and templates. It's currently selling for $67. These guides include PDFs, infographics, and more. These three social media networks are essential for Web writers. If you're new to them you'll get up to speed. If you're already on the networks, you'll discover how to use them for your own promotional purposes, and for your clients. "Author Rank" depends on many factors. The chief factor is that you need to be identifiable. Using these networks, in conjunction with your Web writing, means that you'll become identified for your content on the Web. So, please don't risk irrelevance… :-) Help your content to be identified on the Web. Use these networks. You can only benefit. How much will this package be worth to you? I'll answer that with another question -- how much money do you want to make? I created this package because the Web is changing fast. Writing is no longer enough. You need to develop content mastery, so that you can create tiny snippets of content on the social networks, and write entire video scripts, and everything in between. Whatever income you're making now, Content Dynamite will help you to make more. You'll increase the writing services you offer, and you'll bill more. You should be able to double your income when you offer more services -- and moreover, services which few other writers can offer. As always, you receive coaching with this package -- a full 15 minutes of coaching, which is worth $75 to you. Book your coaching when you need it. Of course, if you have questions -- please ask. Julia and I are always ready to help. We're accessing the online world on many different devices so we offer two payment options You can choose PayPal or card. This is a large package, over 100MB, so please use the download accelerator mentioned below if you're on a Windows machine. If you're on a Windows machine, life can get complicated, especially when you download videos. If you're on Windows, and have problems, I encourage you to download and install the following software. It's FREE software, and it will make your life easier. We wish you all success with your content mastery program. Please book your free coaching. You can take it at any time. Coaching is via email, Skype or phone. Of course, in addition to coaching, you can ask for any help you need. Either Julia (my amazing, hard working assistant) or I will get back to you within hours (often minutes) on a business day, and within eight hours on a weekend. Request: If you don't receive a response to any message you send within 12 hours, please resend. Email has been flaky lately. You're NEVER alone -- Julia and I are here to help. Tagesgeld Kontovergleich Testsieger jetzt finden . iOS development from Incode Outsource on schedule.